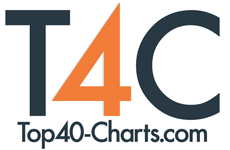 New York, NY (Top40 Charts) Joshua Ketchmark creates a country sounding love story, about him reflecting on a current relationship and how to save it. The soothing tones of the piece are a nod towards his flux of emotions. His emotions are being calmed somewhat by listening to familiar songs and driving. It is a soft sounding piece that also works to comfort the listener. His background growing up in a small town helps him to create this scene, as well as his love for Nashville, TN. This piece is part of an album by The Misses. Ketchmark grew up in a small town outside Peoria, Illinois. MTV made him interested in learning the guitar. Then after high school he moved to Nashville, TN. After living in Nashville for a while he felt a calling towards Los Angeles, and then he once again felt the pull towards Nashville. He very much is a rambling man. The band which he plays with is The Misses; this song is a part of an album which they all developed. The cover features colorful skulls with The Misses in the center in bold pink lettering and his name, Joshua Ketchmark just on top of the band name in white lettering. His style is country, with an acoustic guitar and vocal combination for his piece. The theme of romance and lamenting makes for a good country song. The style itself lends a great medium for such feelings. Because the soft sound and comfort that the genre of the music creates. His vocal style also is country as well as the setting of the song, down a country road. It is a place where it is common to reflect. It's a love song about a failing relationship. He is driving down this backroad trying to wrap his mind around things. "I've never driven down this road with the radio up," this is a line which reflects how out of sorts he feels and that he is in need of something different of something that can comfort him while he reflects on the situation. Another line which reflects the feel and the situation of the song is, "driving through the pines in the dead of night." Driving through wooded areas at night creates a creepy atmosphere, however if you are in a sad mindset then the trees almost seem to be lamenting and reflecting with you. Her voice is following him, he is trying to determine how to save the relationship. This piece is soothing and soft. Ketchmark is soothing his soul in this piece so it is quite fitting. He is driving down a back road reflecting on his failing relationship and at the same time trying to calm his mind by listening to comforting songs on the radio and by driving. Driving down back roads can be a soothing activity; your mind is partially distracted because you have to operate the vehicle however it can still wander. He can reflect on the relationship itself while thinking and contemplating what he can do to improve the current situation. A Gathering Of None Release Official Lyric Video For "No Stone Left Unturned"!